Profile by Sean Grobbelaar, Owner of The Entrance Lake House. Pictured: GM & Chef Will (right). Born in the Philippines, Willard Cabalbal (Chef Will) remembers his fond times cooking with his grandmother as a kid. However, it was not until he applied for a waiter’s job at the Riderslodge, Johor, Malaysia that he discovered his love for food. While starting as a waiter, the Chef pulled him into the kitchen one night to cover a kitchen hand. One month later he was on cold larder and six months later he was the Sous Chef. Pulling his inspiration, from recipes and cooking tips of his grandmother, he spent seven years exploring Western and Asian food. 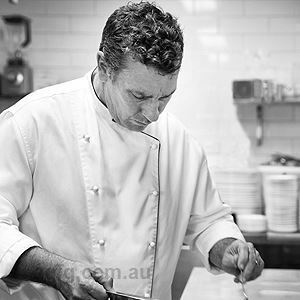 In 2010, Chef Will landed in Australia with an armoury of cooking skills and a deep passion for food of all nationalities. 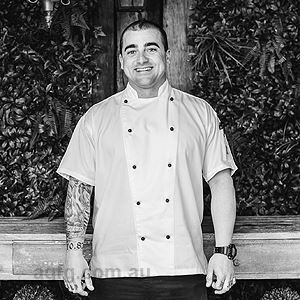 He was Head Chef at Hero of Waterloo and Boatshed restaurant at Bonnells Bay before landing at The Entrance Lake House. Will’s food features homemade products from fresh ingredients. His obsessive compulsive nature commands nothing less than perfection. Will’s attention to detail results in an organised and smoothly run kitchen where he leads a kitchen team that executes precise detail to prepping, setup and the delivery of beautifully plated dishes. While the business does pose many challenges, due to its previous reputation, no two days are the same and this keeps Chef Will passionate and excited about his cooking and new dishes that he delivers. Ask Chef Will what he cannot live without and his response will be "red wine”…. and "white wine”. His core belief to putting up a plate of food is "It must look good, smell good, then taste great” to be worthy of it being on the menu. 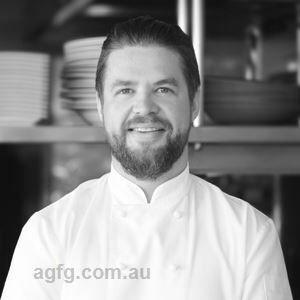 Chef Will has brought new life back into The Entrance lake House with his contemporary style, fresh flavours and global inspiration in a modern Australian restaurant with rich historical roots. Expect to see lamb on the menu, his favourite meat to cook, with an abundance of flavours enhanced by rosemary, thyme, cumin and garlic seasoning. Personally, I could eat his seafood dishes all day but many people just rave about his new pork dishes. 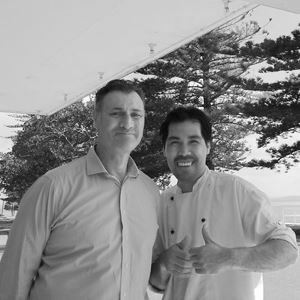 Whether you are on a date night, family occasion or having your wedding at The Entrance Lake House, customers should be very excited to have this international chef on their door steps on the Central Coast. Locals and tourists eat, drink and indulge at historic The Entrance Lake House, while taking in uninterrupted views of Tuggerah Lake. Located on The Entrance Road, this refurbished restaurant is a specialty coffee house, eatery and function venue, featuring worn wood floors, palms and bifold windows offering water vistas from most angles. White ceilings and exposed brick create a chilled out vibe, whether stopping in for a weekend breakfast, high tea, or dining at night from a Mod Oz menu swimming with choice. Perhaps start with soft shell crab, bean sprouts, green papaya, cucumber, cherry tomato, roast peanuts, crispy shallots and nam jim; before mains like pork belly Adobo style, roast eggplant, mango salsa, battered jalapeno slices and Adobo sauce, or seafood pasta served with rouille.